With more than a few unexpected and hilarious plot-twists, we follow Brett and Drew over the course of one year— through the real estate rat race, renovation hell, a farcical opening weekend at their B & B, and encounters with small-town prejudice—all the way to their big decision: do they stay here or do they pack it all in? 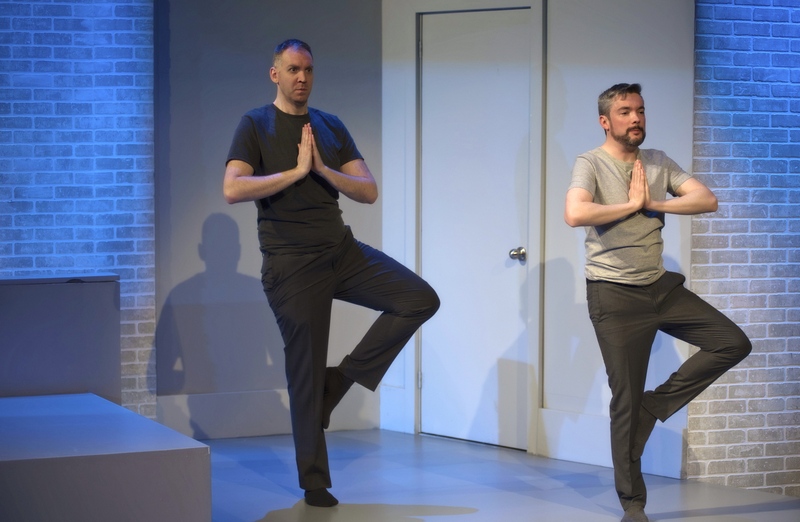 With dozens of characters—male and female, young and old—all portrayed by two men, Bed and Breakfast is a theatrical tour de force. 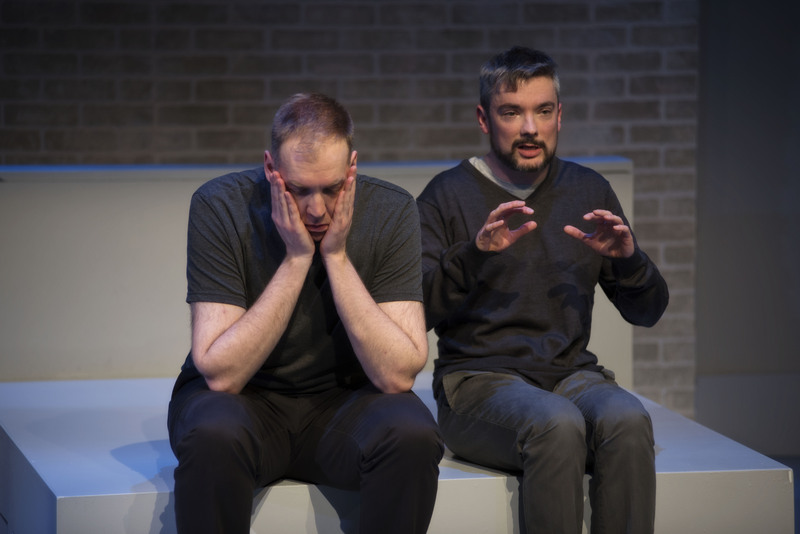 As riotously funny as it is deeply moving, this is a heartfelt comedy about “being out” in small town Canada, skeletons in the closet, and finding a place to call home. "Bed and Breakfast hits all the right notes!" "Full of charm and quiet humanity...Crawford writes articulately about the pressure to revert to closeted caution when on unfamiliar territory." "Don’t worry about keeping the many characters straight. 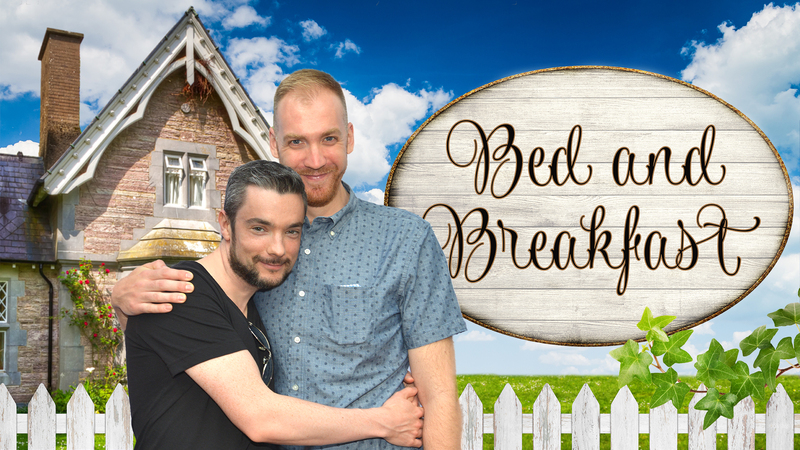 What’s going on is always very clear and firmly anchored by Drew and Brett… Bed and Breakfast is funny, touching, and very human." "Seeing Bed and Breakfast last summer was a revelation. Not only is it funny, it’s deeply moving and full of surprises." "A brilliant production of a play that is sure to go on to be a classic not just in small town Ontario, but in bigger venues everywhere." "Bed and Breakfast will strike a chord with anyone who sees it. While hilariously funny throughout, there are some very poignant scenes and I challenge anyone to leave the theatre without shedding a tear." 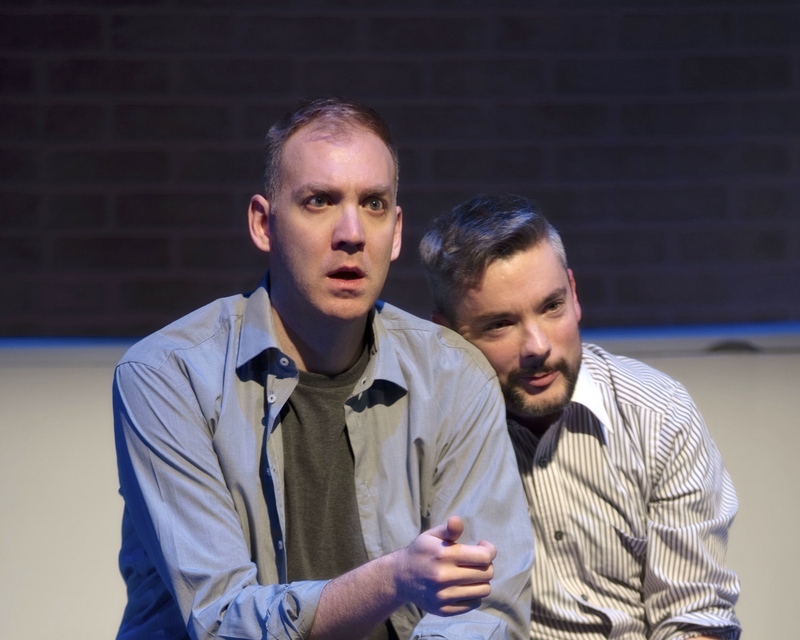 "An entertaining night at the theatre... Crawford sidesteps heavy-handedness or didacticism. The majority of the characters are multi-faceted, even complex—and they’re portrayed with heart and humanity." "A keen understanding of the careful and essential balance between laugh-out-loud funny and quiet consideration of life-altering revelations." 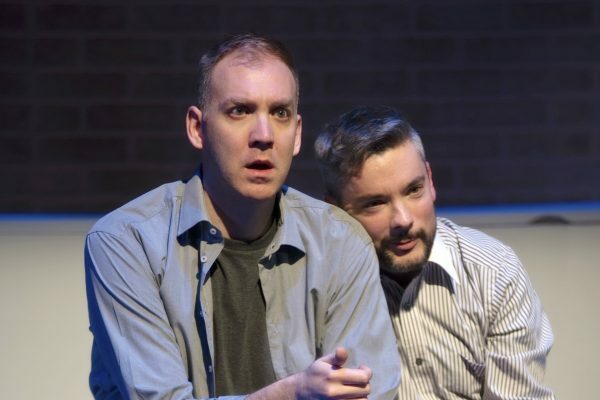 BED AND BREAKFAST PREMIERED IN 2015 AT THE THOUSAND ISLANDS PLAYHOUSE, WHERE IT BROKE BOX OFFICE RECORDS AS THE BEST-SELLING SHOW IN THE HISTORY OF THEIR FIREHALL THEATRE. THE SCRIPT WAS DEVELOPED AS PART OF THE THOUSAND ISLANDS PLAYHOUSE PLAYWRIGHTS’ UNIT. 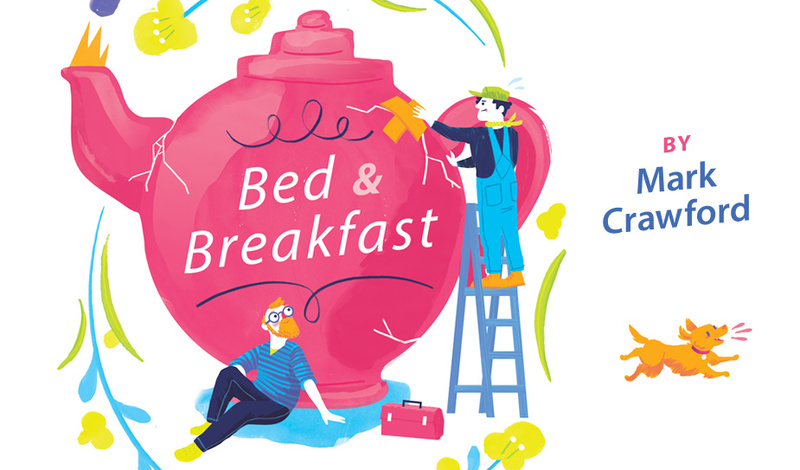 BED AND BREAKFAST HAD SUCCESSFUL PRODUCTIONS AT CENTAUR THEATRE AND BELFRY THEATRE IN 2017. 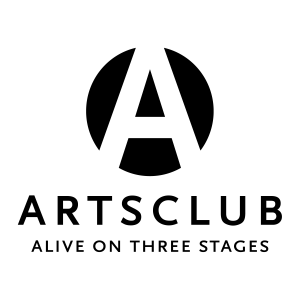 BED AND BREAKFAST WAS SHORT-LISTED FOR THE STAGE WEST PECHET FAMILY COMEDY AWARD.